Napa Valley is the quintessential wine country vacation with good reason. The concentration of quality wineries, bucolic landscapes and amazing hotels and restaurants make it an ideal getaway to relax and recharge. 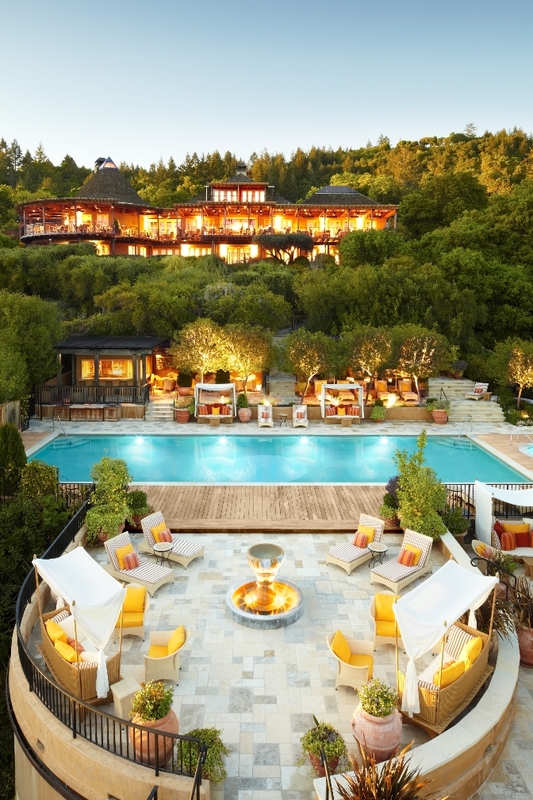 Gourmet food and wine reign at etoile at Domaine Chandon. The charming town of Yountville is the epicenter of Napa. Despite a population of just under 3,000 people, it boasts three Michelin star restaurants including the venerable French Laundry. With nearly impossible to get reservations, Thomas Keller fans can still experience the chef’s magic at his other establishments in town including Ad hoc, Bouchon and Bouchon Bakery. The bakery is a perfect breakfast stop, but expect lines out the door no matter the time of day. 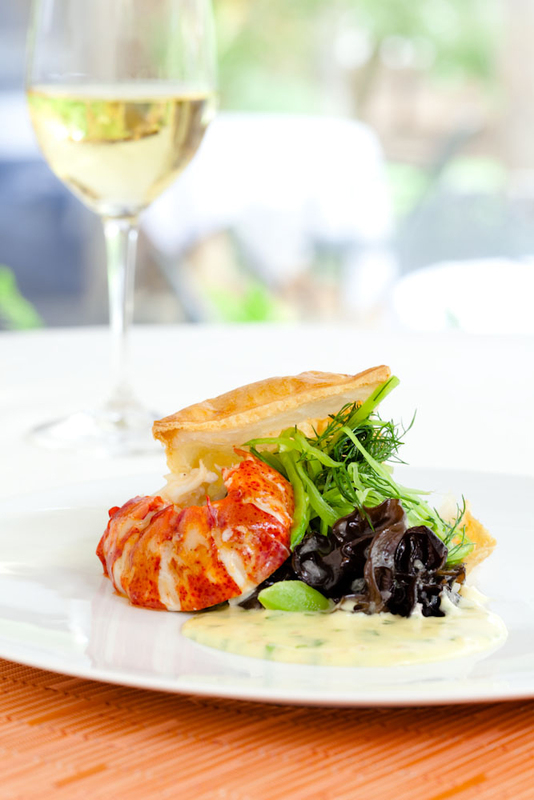 For dinner, the etoile at Domain Chandon makes for a memorable meal. Surprisingly, it is the only fine dining restaurant within a Napa Valley winery. The four and six course tasting menus pair delectable dishes like Moroccan spiced octopus, Hawaiian Onaga and Duck breast with the famous bubbles and the red and white wines also produced by Domain Chandon. For a simpler dinner focused on wine-country cuisine, try the chef-owned Hurley’s. 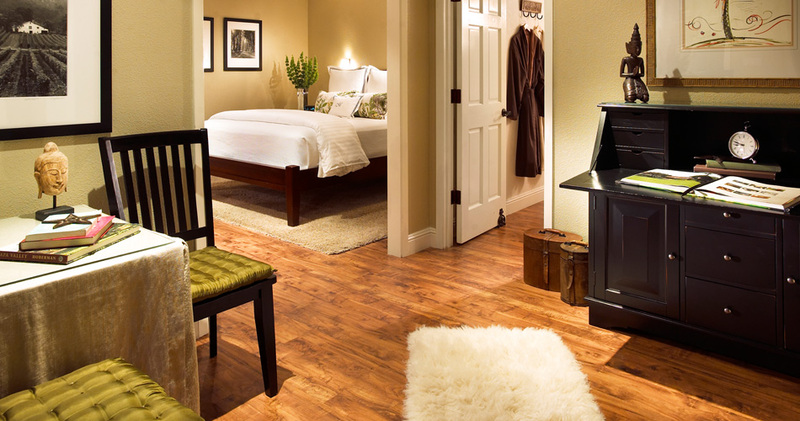 The Hotel Yountville is a charming place to base in Yountville. You came to Napa for wine and you can find several tasting rooms in the heart of Yountville. Hestan Vineyards showcases their wines, which have been served at the White House during a state dinner, in a newly built tasting room. The family behind the wines got its start in cookware and today makes lines for Williams Sonoma and chefs like Napa’s Michael Chiarello, and Rachel Ray. But at the tasting room, the wine is the star, especially the Stephanie Cab. Just down the street, Priest Ranch pours wines from its Priest Ranch, Highflyer and Somerston labels. Many of the wines score well over 90 points by Wine Advocate. A relaxing vacation wouldn’t be complete without a trip to the spa and Yountville has a good one in Spa Villagio. The tone is set from the minute you step inside and have a sit-down check-in with the spa concierge while sipping on addictive, non-caloric strawberry mint water. In the locker room, take advantage of the unique lemongrass steam room before heading towards one of the spa suites for a knot-relieving deep tissue massage. Luxuriate in the suite after the service, sipping champagne and nibbling on cheese and fruit while in the hydrotherapy tub. The Spa Loft Suite at Spa Villagio. The Hotel Yountville, with its French inspired stonework façade and large, luxurious rooms, is the ideal home base in Yountville. A major perk for hotel guests is the partnership the property has with wineries throughout the Napa area providing complimentary tastings for two or other discounts on tastings and purchases. This saved my friend and me over a hundred dollars in tasting fees alone during our stay. Heading north, you’ll pass wonderful wineries like Clos Du Vol, Pine Ridge (try the Chenin Blanc/Viognier), Silver Oak and Frank Family, to name just a few. In Rutherford, stop for lunch at the Michelin star restaurant at Auberge du Soleil, highlighting local produce and wine with a Mediterranean twist. If you’re in the area with your significant other, dedicate a night to romance removed from the hustle bustle, tucked away at the exclusive 12- suite Milliken Creek Inn & Spa. Situated on three acres, you can relax on lounge chairs creek side or soak up the luxury of your room, featuring a hydrotherapy tub, rain shower, sitting area, and fireplace. During the evening, enjoy Magic Hour, a complimentary wine and cheese tasting, featuring a local vintner pouring and talking about his wines. Breakfast comes to you in the morning. A Sweet Suite at Hotel Milliken. A weekend in wine country will increase your appreciation of the grape and decrease stress levels built up from the real world. Photography courtesy of each respective hotel. To read the Luxe Beat Magazine version of this article click on the title Weekend of Wine in Napa.